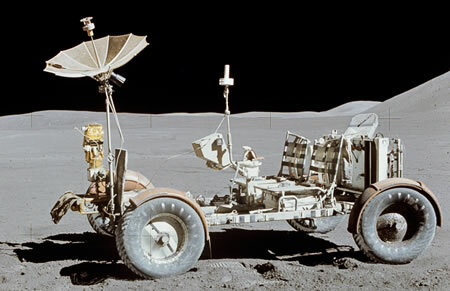 If you could salvage all of the material that human beings have left on the moon, you could open a fairly substantial used spacecraft lot. Update 16-May-2007: Corrections have been made to the list based on attentive reader comments. End update notice. Apollo 10-17 Lunar lander descent stages; some missions left behind retroflectors for lunar ranging. Apollo 10-17 Lunar lander ascent stages, which fell back onto the moon. ...Despite efforts to make the Moon colony ecologically self-sufficient, Luna City still imported vastly more tonnage than she exported. On Earth this would have resulted in "empties coming back"; in space transport it was sometimes cheaper to let empties accumulate, especially on Luna where an empty freighter was worth more as metal than it had cost originally as a ship back Earthside.